Have you ever hiked to a crystal-clear alpine lake and wished you could go boating? 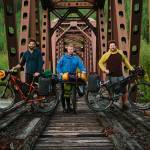 Or how about that time you biked along the river and dreamed of paddling instead of pedaling? With a traditional boat — think kayaks and canoes — this is nearly impossible. They’re large, heavy, and not easily portable. But with a packraft, these dreams don’t seem farfetched at all. In fact, they’re the very reason packrafts exist. Here, we detail how to choose a packraft for your personal style of adventure. A packraft is an individual-size inflatable boat. It’s ruggedly durable but also impressively compact and portable. It’s designed to fit into a backpack or on a bike, making it the ultimate adventure boat. 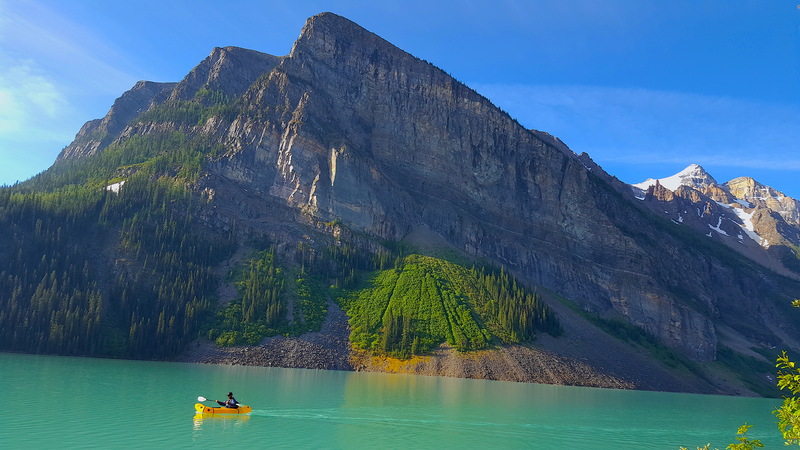 You can hike it to an alpine lake or turn a mountain bike outing into a biking-boating trip of a lifetime. But even if you have no desire to hike or bike with a boat, the packraft is still a great choice. It’s the perfect boat for van-dwellers, small-car adventure junkies, or anyone who wants the fun of paddling without the space requirements of a hard-sided boat. The two big considerations when choosing a packraft are the type of water you want to paddle and your preferred mode of transportation. Read on to understand how these will impact your choice. One of the main considerations is the type of water you’ll be paddling. 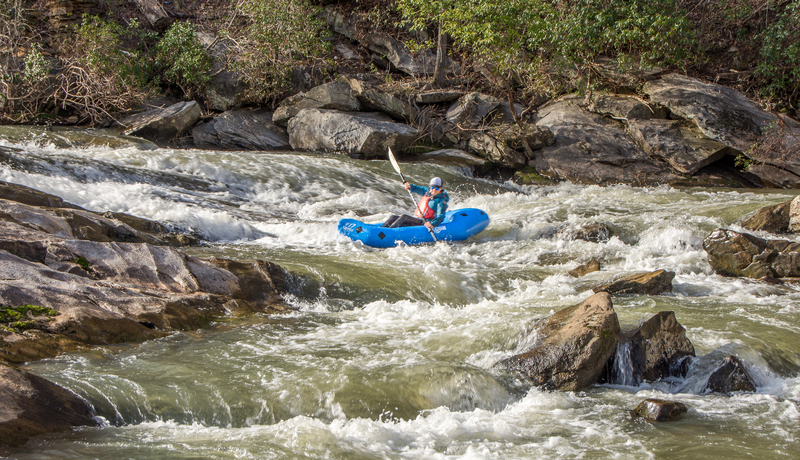 From mellow lakes to rushing whitewater rivers, there’s a packraft for every adventure. Take a minute and envision your packrafting future. Do you plan to paddle lakes, rivers, or some combination of the two? Do you want to leisurely float? Is fishing the goal? Or is your packraft a backcountry means of transport? There’s no right or wrong answer, but getting clear here will help. If you mainly plan to paddle big rapids, you’ll want to look for a whitewater-capable boat. For flatwater paddling, you may prefer to choose something with more comfort and stability. Traditional boats like a canoe or kayak limit where you can travel, but packrafts are built to go into the wilds. Before choosing a packraft, consider how you’ll access the water. Do you love hiking into the backcountry? 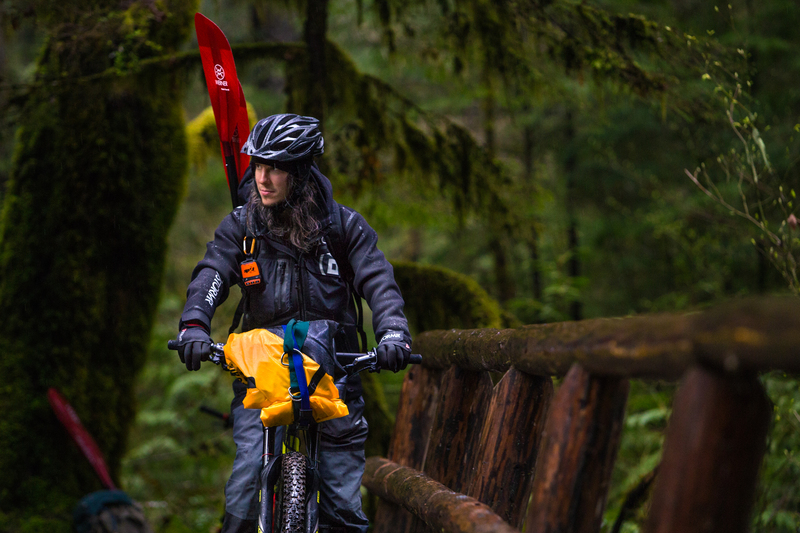 Or is a bikepacking adventure on your bucket list? Or will you be driving to the water? Determining how you’ll travel to the water will inform how important weight — or lack thereof — is to you. If you’re driving to the put-in, a few extra pounds don’t matter much. But if you’re hiking or biking, it’s important to choose a lighter boat. The unique thing about packrafts is their ability to pack up small and light. This ranges from the 4.9-pound, one-person Hornet-lite to the 13.8-pound, two-person Twain. Luckily, even the largest Kokopelli boat is still very light. Any packraft will easily fit in your car, but if you plan to regularly hike or bike with your raft, light and small is ideal — something like the Rogue, which packs down to the size of a roll of paper towels. It’s both capable of crossing rivers and extremely packable. A spraydeck is a waterproof material that spans the cockpit of the boat and covers your legs. It’s great for keeping warmth in and water out when running big rapids. 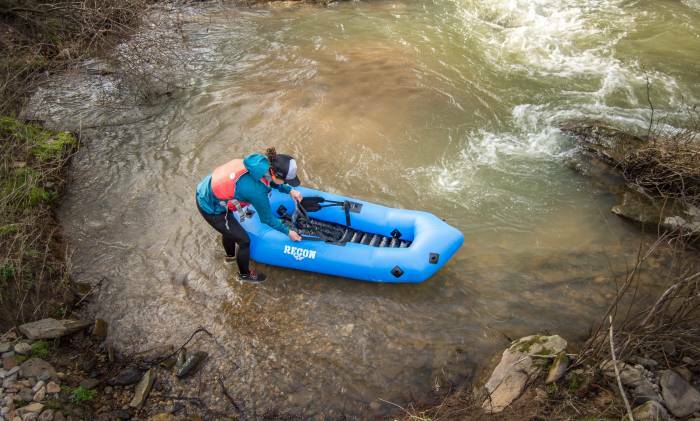 The Nirvana and Rogue both offer a spraydeck option and are capable whitewater packrafts. Anyone planning to use their packraft to travel miles downriver will appreciate this feature. The waterproof TIZIP zipper gives you access to store gear inside the pontoons of your boat. 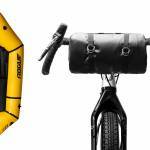 This is an invaluable option when bikepacking or heading out on a paddle camping trip. 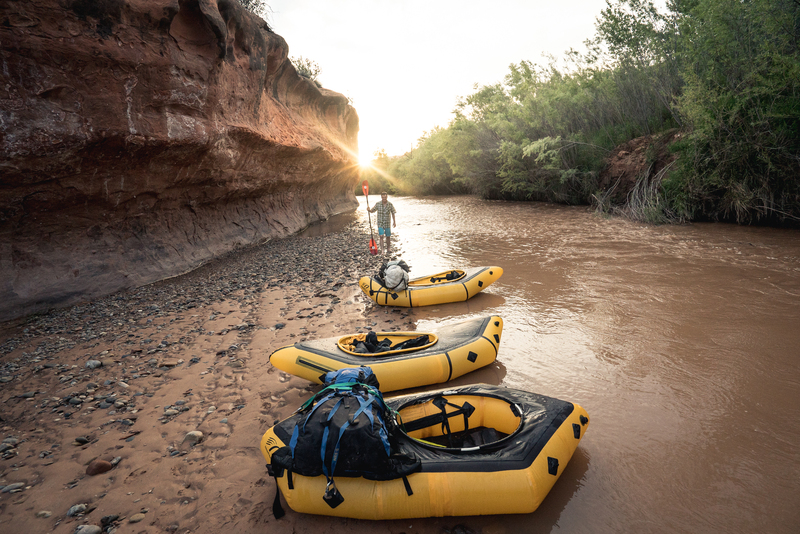 What Type of Kokopelli Packraft Is Right for You? This is the perfect fit for paddlers learning to packraft or planning to paddle calm lakes and slow-moving rivers. These boats are ideal for adventures at the lake or fishing your favorite backcountry honey hole. The Castaway XL‘s longer length and improved tracking make it a great choice for flatwater paddling. Anyone who thinks paddling is better with a friend will enjoy the Twain. This two-person, canoe-style packraft is ideal for long lake tours and is a favorite among adventure racers. 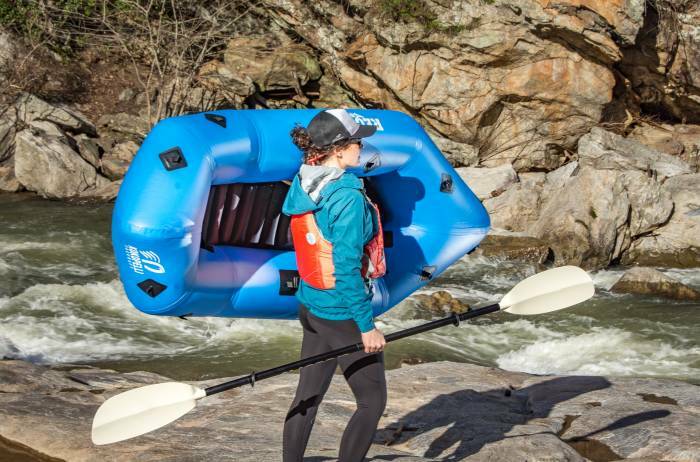 The Adventure Series packrafts are designed for multisport athletes and built to handle everything from flatwater to milder class II rapids. The Rogue Lite is the boat for you if you’ve ever wanted to backpack into the wilds, portage across a river, fish an alpine lake, and camp out before doing it all over again. This boat weighs just 5.2 pounds and is a go-to for bikerafting. If having a spraydeck and backband is important to you, check out the Rogue. These boats are designed to take on some serious whitewater. The narrower trim allows for fluid movement in and out of eddies, and the rocker makes for fun wave play. Anyone who loves surfing holes and getting splashy will love this series. 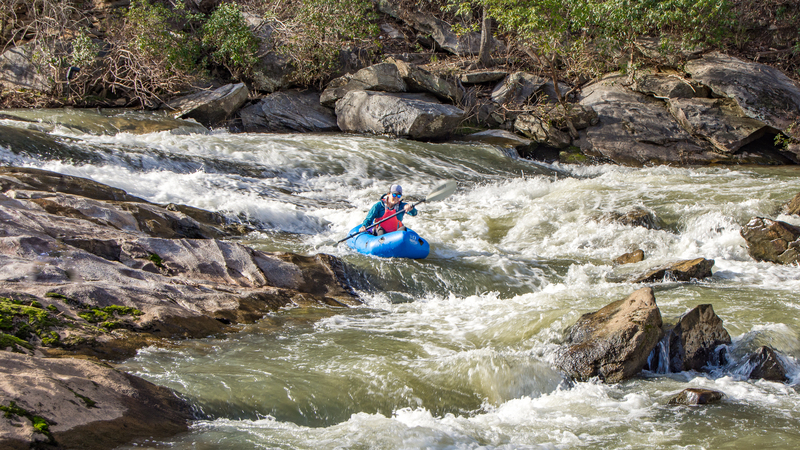 The Nirvana (in either self-bailing or spraydeck versions) sets the standard for whitewater packrafts. It weighs less than 10 pounds and is designed for responsive river handling. New to the line this year is the Recon packraft. This is not your typical packraft. Instead of aiming to be the lightest or smallest boat possible, this packraft is built to maximize durability (without sacrificing performance). With the same shape as the Nirvana, it offers top-level handling, and the rugged PVC construction makes it perfect for post-work laps. Take it to the river, get splashy, and then throw it in the back of the truck without worry. It was built for regular whitewater use. And at just 18.5 pounds, it’s easy to manage solo and doesn’t take up much space in the garage when not in use. Once you’ve chosen the perfect packraft, there are a few other pieces of important gear. First, you’ll need a paddle. Look for one that breaks into four pieces for easy packing. The Kokopelli Delta Adventure Paddle is a lightweight touring model perfect for anyone who wants a packable, do-all paddle. The other requisite piece of gear is a personal flotation device (PFD). These come in a variety of sizes, colors, and designs, and choosing one is a matter of personal preference. The most important advice around a PFD is this: Always wear a PFD on the water. Now that you have a packraft, paddle, and PFD, you’re ready for the water. Gather your adventure-loving friends and get outside. Hike to that cerulean alpine lake, bike to the adrenaline-pumping river, or drive to the local lake. No matter the adventure, it’s always better with a packraft! 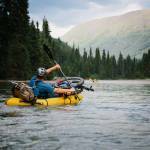 This article is sponsored by Kokopelli Packraft. Learn more about all things packrafting here. next:‘Super Steel’ Knife: The Ultimate Blade for Camp Chefs?